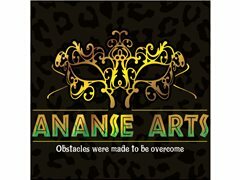 Ananse Arts are looking for a creative, inspired and well trained drumming teacher/coach for Saturday cultural classes. (9 am till 2 pm) but timings may be subject to change. We ask that the due to the cultural importance of the school, all teachers must be from the Caribbean and or African Community. We are looking for a drumming teacher who is proficient in a variety of folk songs and is able to create new and authentic culturally relevant music. Applicants should hold a full and current DBS/CRB certificate, though we can also help with this.